We have been hearing about this concept of disclosure for some time now. This term holds different meanings for different people. However, the general idea is that we the public work together in order to achieve the greatest amount of revelation and liberation possible for our planet. The only question is, "Upon experiencing a disclosure event, how much would we be willing to learn?" Considering the fact that we among the general population have little to no certainty about the various ET groups that exist, the degree to which technology has been developed, or the true number of black projects and secret programs that exist beyond our site, it seems the best course for us is to keep an open mind. There are numerous whistleblowers and experiencers that have come forward—each with their own otherworldly accounts of projects they have participated in. As these individuals come forward, they each offer a significant piece to the elaborate mosaic which we call disclosure. Naturally, everyone has their different views on how the disclosure process should take place. Some believe that this process needs to be spread out over the course of several decades while others believe the people have endured secrecy for long enough and need a complete disclosure sooner rather than later. Some believe that only ET life and advanced technology should come forward, but that the rest of the truth should remain hidden while others see every reason for the public to know the true extent to which civilization has advanced beyond our current paradigm. According to multiple whistleblowers, the true level of technological development has both reached and—in many cases—surpassed that of most science fiction movies. There are some individuals who promote the notion that all ETs are somehow evil and should be feared and avoided. There are other figures who promote the idea that all ETs are benevolent and that it is completely safe to reach out aimlessly into the cosmos and to consider anyone we meet our ally without double-checking the situation first. As stated, there are many views on the topic of disclosure and ET life. However, the approach to this issue does not have to be as complex as some may think. Just as in any situation that we, as mature adults, may approach, we might take disclosure and first contact with prudence, caution, and yet open-mindedness. We can be observant, prepared and informed and this way we can ensure a desirable interaction with other races while avoiding interactions we do not desire to have. Just as in any new experience, we have the opportunity to begin on a positive note and to pursue communications with other races in ways that benefit all parties involved. According to whistleblower testimony, these human/ET interactions have actually been taking place for decades now. However, these past interactions have largely taken place within secret special access projects which are based off planet and in deep underground military bases. In order for a successful first contact/reintroduction to occur, this military control and secrecy would have to come to an end, to a large extent. This is not to say that we should not be cautious or that we should not have some means of self defense when it comes to new interactions. Rather that, regarding the subject of ET contact and space exploration, we should pursue alternative focuses of exploration besides military and corporate conquest. According to numerous testimonies, these corporate and military endeavours have dominated the majority of secret space programs thus far. Again, in order to progress toward peaceful and friendly interactions with ET races, this must change. It is true that secrecy and the ignorance of the people have enabled some of the world's worst atrocities to take place—both here on the planet and in space. We the public have been denied the right to full health, freedom, and prosperity. We have been confined to jobs that do not need to exist, made to use technology that has been long-obsolesced, and coerced into fighting and killing one another for nothing more than the profit of a few corrupt elitists. The planet is in dire need of great change, and has been for over a century now. In my view, the time for monumental revelation and renewal is now. The means to this change, in my opinion, is to reveal the entirety of the truth and to end the secrecy that has enabled decades of atrocity to continue. There must be a responsible and yet honest and forthright disclosure of all hidden secrets, no matter how difficult these secrets might be for some members of the public to stomach. This revelation may be just the ingredient we as a planet need in order to help us mature to a state where peaceful and benevolent ETs would feel free and comfortable to meet us. If ETs were to visit us here on Earth, the experience would only seem new because most of the public has been kept in the dark about the existence of ETs for the last century. Though the experience might be new to us, according to numerous historical records, these visitors have not only come to the planet on numerous occasions, they never left. With this possibility in mind, we may now understand the importance of getting ourselves and our civilization in order so that ETs who are benevolent and want to interact with Earth humanity have the opportunity to do so. From where I am sitting, an open, responsible, and complete disclosure event would be the perfect place to start. By: Anela Izadi Ph.D., M.D. Based on the archeological findings, whistleblower and contactee testimonies, there is no doubt that humans have been visited by various ET races for centuries. Through certain times in our history, ETs and inner-earth beings walked freely among us and even acted as our teachers and Gods, influencing our current reality. At some point in our evolution, open human-ET interaction ceased as our collective memory of the events faded. However, as Rebecca Hardcastle, Ph.D. points out, humans possess extraterrestrial consciousness which links us directly to our ET ancestors. It appears that the time has come for humanity to remember on an individual and global scale who we are, where we came from, and our purpose in the Universe. Unfortunately, our stratified political structure has been a hindrance to the unveiling of our collective memories and to the disclosure process involving our historical events and human-ET interactions. Fortunately, as Dr. Salla says, the ‘First Contact’ is not a purely political process but rather it is also a social process due to the large number (millions in USA alone) of ordinary individuals having direct interactions with ETs. In this article I am going to focus on this social process in relation to preparation for contact. A 2015 Newsweek poll found that 54% of Americans believe in ET existence and approximately 30% of those believe that we have had contact with ETs, which has been covered up by our government(s). A 2012 survey by National Geographic found that 77% of Americans believe that ETs have been visiting Earth. The key word in these polls is “belief.” Whether the belief in ET existence, or communication is true is not a prerequisite for the belief itself. For example, an individual with no ET contact who believes that ETs exist and have contacted humans can share the same belief with an individual who is an abductee or a contactee. The former individual has a priori, non-empirical knowledge, which is independent of their experience while the latter has a posteriori knowledge that is acquired by experience. On the other hand, what must the individuals with either a priori or a posteriori knowledge base prepare for? Since 1969, when her book was published, these five stages have been accepted as the best description of the psychological responses individuals experience when faced with any life-changing situations. These stages are reactions to events and are unique to each person who is experiencing them. The most important thing to keep in mind is that not everyone who experiences a life-changing event feels all five of the responses in their linear progression. I believe that the knowledge and understanding of these qualitative descriptors of human emotional states can be used to prepare individuals and groups for indirect and direct conscious contact with ET or inner-earth races. The two stages that I will focus on in this article are Denial and Acceptance with brief description of anger, bargaining, and depression as they relate to realization and knowledge of the ET presence among us and the ET interaction with humans. When an individual experiences a traumatic event (i.e. car accident, alien abduction) not remembering what happened is a common occurrence because the brain shifts its focus from making memories to escaping danger. It enters the survival mode or the basic fight-or-flight response. The same happens on an emotional level when an individual is faced with life-changing information (i.e. their religion is a cult, ETs are real). He or she enters the denial stage, which can last from a brief moment to a lifetime. During the fight-or-flight response, excessive production of noradrenaline destroys the brain’s ability to store memories. Adrenaline rush facilitates quick reflexes and extra physical strength focusing the individual only on knowledge beneficial to survival. Immediately after the inciting event, the individual’s first thought is rooted in disbelief and denial (i.e. Did I really experience this? This is not real. This did not happen.) Humans have evolved or are made not to see reality as it is. Instead, we perceive reality with our senses. Our behavior in response to any reality is directed toward our survival (physical, mental, and emotional) and not necessarily the truth. In addition, based on our individual knowledge base, we can mentally and emotionally process only what we know. Our ability to resort to denial when faced with something we cannot mentally or emotionally process is the greatest hindrance to our spiritual evolution as well as to conscious interaction with ETs. Our ignorance (intentional and un-intentional) of our perceptions outside the realm of five senses compound the problem of processing the information that seems unreal or out of the realm of our current reality. I believe this is the reason as Carl Jung suggested why majority of ET contact experiences occur in Delta brain wave range while the person is in deep sleep and why ETs appear to abduct or contact individuals while they are in Theta/Delta brain wave ranges. Interaction with ETs while in Theta/Delta brain wave range removes an individual’s ability to fight-or-flight, reducing the hormone-induced physical stress response. It also brings to focus reality that was not perceived with our five senses. As the interaction takes place within our subconscious or even in an unconscious state, the experience is reduced to a dream-like quality and memories which have to be processed on an emotional level. The more we start paying attention to our senses beyond the physical five senses, our dreams and emotional states, the more we become prepared for this contact to occur. At the same time, it becomes easier for contact to take place and be remembered. The sooner we stop denying our experiences, we can establish conscious contact in the Alpha/Beta brain wave range. Author and contactee Lyssa Royal suggests that ETs prefer human-ET interaction to take place in the Theta/Delta brain wave range because it is the equivalent of the ET waking state. Although this is highly possible, I believe that human-ET interaction in Theta/Delta range are related to neutralizing our responses and making them more predictable. Our unpredictable physical responses could present a safety hazard to the ETs and ourselves during the interaction. However, as someone who is a sleep walker, I can attest to being in Delta brain wave range, being physically active around our home, and fully remembering what I was doing while sleep walking. As I tell my husband, what happens in Theta/Delta brain wave range, stays in Theta/Delta brain wave range. Dreams are easier to deal with and harder to deny than the Alpha/Beta waking conscious reality of an ET contact unless an individual is predictable to himself and the ETs in his physical and emotional responses for a face-to-face, consciously aware interaction. I also believe that majority of us are in telepathic communication with ETs but again, we are not necessarily consciously aware of it or simply deny that it is the case. Based on a personal experience, I don’t believe that an individual must be in a trance or a dream-like state for this interaction to take place. I have also had the experience of attempting telepathy while in a dream state. It is possible that telepathy is independent of the brain activity and rather depends on the person’s energetic state. 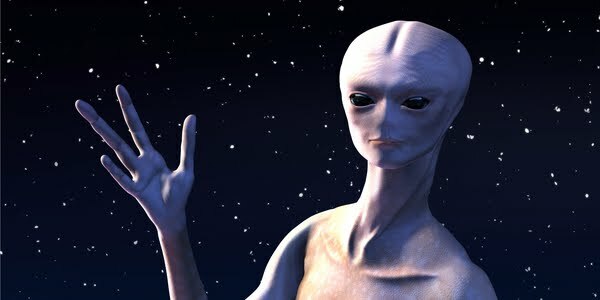 As an individual accepts the reality of ET presence or realizes that they are an abductee or a contactee, they may start to ask, “Why me and Why now?” Realization that his reality has been turned upside down, that instead of being on top of the world he is a bottom-feeder, or that he is not as intelligent as he initially thought, can bring about anger and frustration which is often directed out at world and at random. When anger does not bring about inner peace, he may turn on to bargaining especially with their God or the ETs themselves. I believe the bargaining stage maybe an emotional reaction which could be easily exploited by the ETs with a negative agenda. When it comes to death and dying, individuals who enter this stage learn quickly that it does not work and inevitably enter the depression stage. During the depression stage, individuals may experience reactive and/or preparatory depression. Reactive depression occurs as a reaction to current and past losses. For example, if a woman realizes that she provided her womb and genetic material to an alien-hybrid program, she may feel a sense of loss with each pregnancy. Preparatory depression occurs when an individual feels a deep sense of future loss. For example, a wealthy oil executive realizes that with the announcement of ET technologies, he will suffer a major financial loss. The two whistleblowers/contactees who come to mind to best illustrate their coping mechanisms when faced with ET presence are Charles Hall and Clifford Stone. In the simplest of terms, Mr. Hall is left brained and Mr. Stone right brained. We all have an inherent tendency toward a particular way of assimilating and processing information. Right brained individuals focus on the visual and process information in an intuitive way, absorbing the whole picture then the details in an intuitive fashion, using pictures rather than words. The left brain is verbal, processing information in an analytical, linear way, observing first the details and then formulating the whole picture. While Mr. Stone experienced anger, bargaining and depression during his preparation for contact and while actively participating in contact with various ET races, Mr. Hall skipped right over them while staying in denial stage until he had accumulated enough evidence for himself to move right into the acceptance stage. I suspect that this is exactly how the public will react when faced with the information that ETs are real and have been in secret contact with our government(s) making treaties which have been withheld from public knowledge. Depending on an individual’s personality and inherent left or right brain predisposition to analyze information, some will not stay in these stages for long or may skip them all together while others may take their time to move to the acceptance stage. I believe that our government(s) are most concerned with the anger stage and will utilize every possible tool at their disposal to control individuals and masses to minimize harm as a result of anger directed toward government, ETs themselves and even individual whistleblowers who have had contact or have been abducted by ETs. I think it is extremely important to educate abductees and contactees who are trying to recollect their experiences or make sense of their reality on these stages of psychological reactions because, in effect, they are grieving. A part of them dies when they realize they have had these incredible experiences no matter whether they were positive or negative, and, a new individual is born – one with a greater sense of reality. Acceptance is rooted in love – love of something greater than self. It is giving up ego-based control of people and situations that cannot be controlled. With acceptance of new belief systems, new knowledge, situations, or previously suppressed experiences, an individual must do a fair amount of forgiveness to self and others. The acceptance stage is marked by peaceful resolution and quiet expectation of inevitable future to come. Time spent in acceptance is spent in inward contemplation and letting go of all negative emotions. I love Eckhart Tolle’s definition of acceptance as a “this is it” response to anything occurring in any moment of life. When a person stops struggling to resist whatever they are facing, they become psychologically stronger because of the peace and serenity that overtakes their emotional and physical responses. When we as individuals and a society at large reach the acceptance stage, we will be ready for contact. This article was originally written by Anela Izadi PhD, MD, as part of an Exopolitics 101 course, which introduces students to the field of Exopolitics as the study of the key individuals, institutions and political processes associated with extraterrestrial life, and to the main evidentiary sources and perspectives that relate to an extraterrestrial presence on Earth that has not been disclosed to the general public and most elected officials.